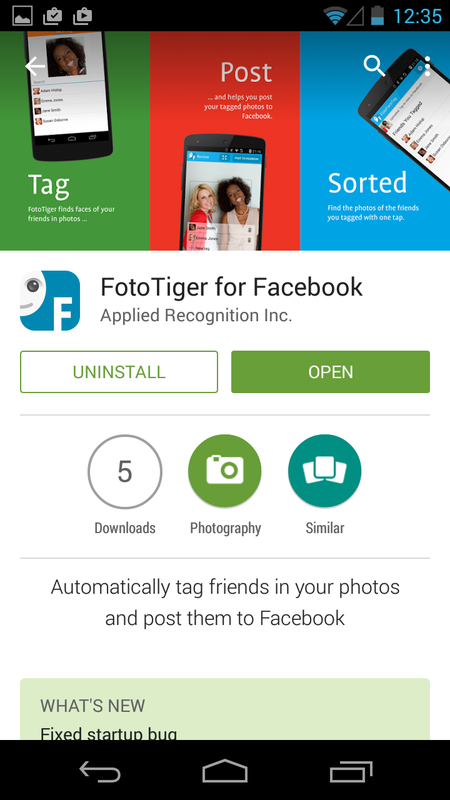 Applied Recognition, a company that develops face recognition technology, has launched FotoTiger for Facebook, a free Android app that automates tagging Facebook friends on your smart phone as it indexes photos according to the people in them. The app tags and sorts photos from your camera roll taken with the phone’s standard camera. Once tagged, people are automatically recognized and tagged in future photos. 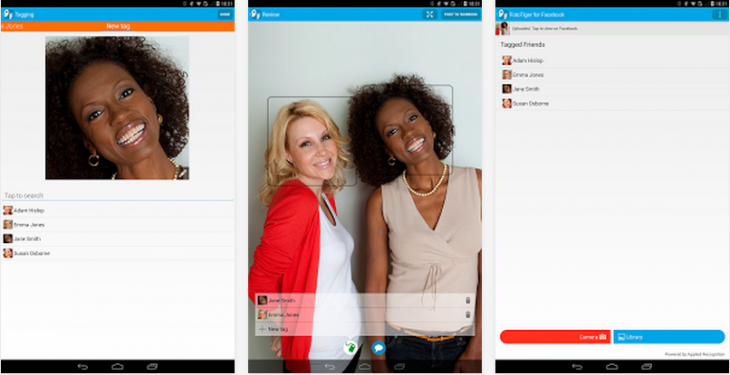 You can share images with any app or post directly to Facebook, Flickr or other social networks. The technology behind FotoTiger is optimized for mobile devices. Entire photo libraries with multiple gigabytes of images can be managed on a smartphone with or without network service. It also includes fraction-of-a-second response time for image scanning – regardless of pixel density. That’s because face signatures are tiny, allowing for on-device storage of tens of thousands of known faces, Waugh said. There’s no question that Facial recognition is the next frontier in photo management, as the number of photos shot grows exponentially and it becomes harder to find the exact photo you’re looking for. 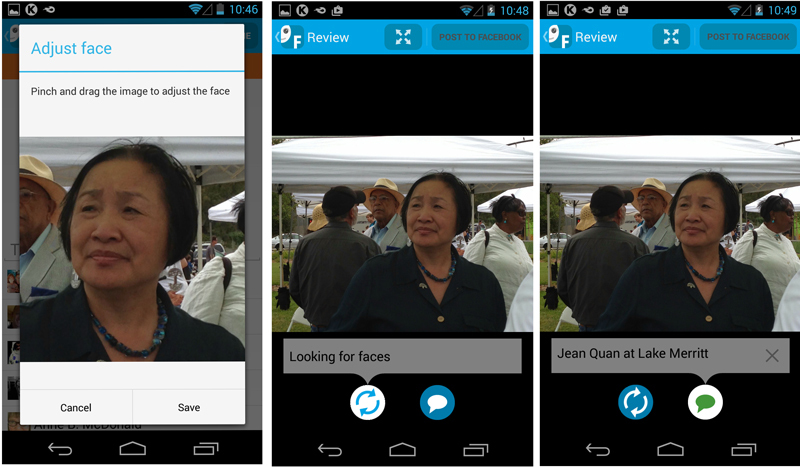 Companies like Orbeus have also released apps that feature recognition technologies, such as PhotoTime for iPhone. Applied Recognition considers FotoTiger the first of its consumer apps but not the last, as it considers targeting major social networks popular in Asia and “working with companies in the photo management or cloud space to bring this intelligence to their applications,” Waugh said. FotoTiger works with Android 2.3.3 and higher and was developed for the platform first because of the number of Android devices in use and because some of them have no facial recognition capabilities at all. But iPhone users will not have too long a wait. Waugh says FotoTiger for Facebook is coming to iOS in the first quarter of 2015.